due to also starting up the first Design Challenge Feature. so for today I'm doing a seperate post. Each week I'm amazed at the talent and inspiration out there. Thanks so much everyone for taking the time to join in on the party! is some kind of genius, nothing's too tough for her! I'm in love with these chandys! shows us how to make those wonderful blue jar knockoffs. How did she come up with this fab idea? I'd love you to grab a "featured at" button on the sidebar! That bedroom is so pretty I am dizzy. It's not the heat, although it is 105, that bedroom is stunning. Smitten I am. Great features. That mantle is fantastic! 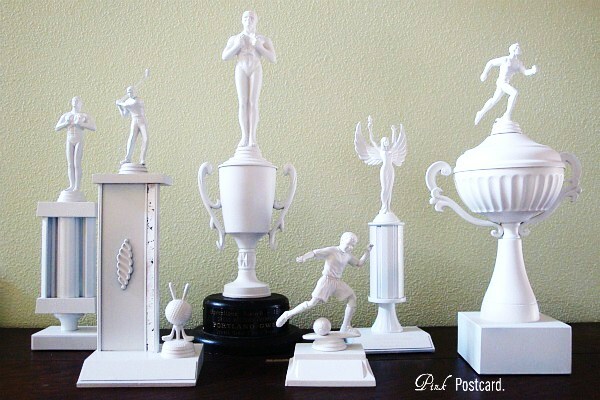 I love the trophy idea, it's so clever! And... That Mantel, ohhhh myyyyyy gosh, is to die for! These are awesome features. The mantel is fabulous. Love that teapot lamp. What fun it must be to pick out favorites each week! What lovelies. I adore the blue jars with the daisies. Love that lamp! 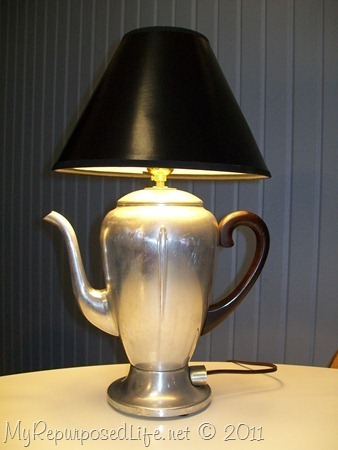 I have been searching for a vintage coffee pot lamp lately. I found your blog through At the Picket Fence. Looking forward to your design series. Wow! 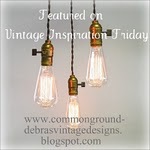 Thanks for featuring my mantle on your beautiful blog! I'm still swooning over it myself! And no demolition needed...I just had to move my furniture around a bit! I Stacey's post on her bedroom and 'bout fell outta my chair. Can you say sumptuous? Man alive...I want to be that bedroom when I grow up! Wow!! What GREAT stuff! I do so love that mantle and that bedroom looks like it could be in a magazine. Seriously talented people, huh?